Coca-Cola has signed a six-figure deal to partner with TalkSport for its coverage of the Euro 2012 Football Championship and is to launch a competition for a young football writer to join TalkSport's team at the tournament. As part of the deal, Coca-Cola is TalkSport's exclusive non-alcoholic beverage partner for the tournament and will also sponsor a tailored highlight package, called the 'Coca-Cola Goal Report', throughout the tournament. The winner of the Coca-Cola Fan Reporter competition will get a six-month paid internship at TalkSport, which will kick off with a trip to the Euros to produce content for TalkSport and Coca-Cola's media channels. Promotion to find the Coca-Cola Fan Reporter starts next Monday (7 May) and will include on-air activity, a branded microsite on TalkSport.co.uk and mentions on TalkSport's Facebook and Twitter feeds. A shortlist of candidates will have to complete a range of journalistic challenges before a panel of TalkSport presenters will select the eventual winner. 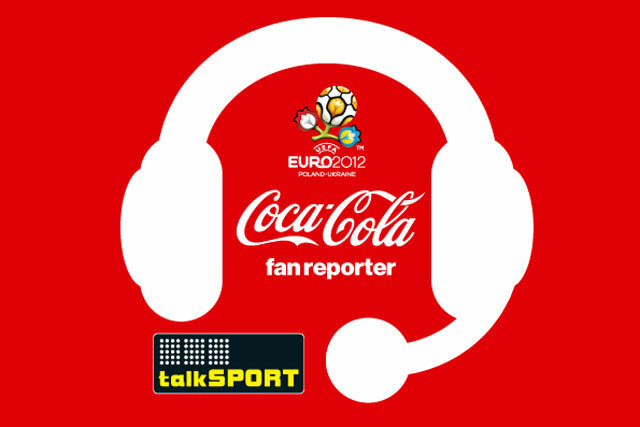 Piers Taylor, managing partner at Vizeum, said: "This is a great opportunity to deeply integrate Coca-Cola into the TalkSport coverage of UEFA EURO 2012, really improving the listener experience." The deal also includes Coca-Cola trails throughout TalkSport's coverage of the tournament. TalkSport won the rights to Euro 2012 in January and the station's other commercial partners include electronics manufacturer Sharp and car marque Vauxhall. Anthony Hogg, head of creative solutions at TalkSport, said: "The last 12 months have seen further growth for TalkSport, both on air and digitally, and to secure a global brand such as Coca-Cola as a partner is testament to how far we have come. "Our search for the Coca-Cola Fan Reporter will provide the winner with invaluable hands-on experience of sports journalism – not just for the tournament, but throughout what is a huge year of sport." The deal follows an eventful month for TalkSport. The UTV-owned station's sister magazine Sport is set to launch international editions and TalkSport won the global broadcast rights for the Barclays Premier League.